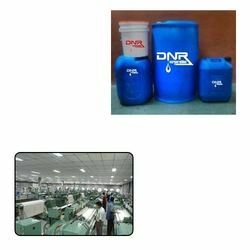 We are a leading Wholesale Supplier of straight cutting oil for textile mills from Mumbai, India. We are presenting Straight Cutting Oil for Textile Mills that are designed for a wide range of machining operations involving mild steel, carbon steel, nickel steel and manganese steel. It also employed for copper, aluminum and their alloys. It is highly ecofriendly as it is free from chlorine. It is manufactured using state-of-the-art additive technology for excellent cutting efficiency. It also extends tool life and imparts better surface finish. Looking for Straight Cutting Oil for Textile Mills ?